CBS Corporation Common Stock (NYSE:CBS) has announced that it has nominated former Time Warner Inc (NYSE:TWX) and Citigroup Inc (NYSE:C) Richard Parsons as an independent director as it advances its push to merge with Viacom, Inc. Class B (NASDAQ:VIAB). If elected, Parsons will become the 14th member of the board and 10th independent director. Parsons, 70 served as the chief executive officer of Time Warner between 2002 and 2007 and the company’s chairman between 2003 and 2007. Additionally, he served at Citigroup as chairman as well as interim CEO of the Los Angeles Clippers. He currently serves at private equity firm Providence Equity Partners LLC as a senior adviser. The nomination of Parsons comes as Shari Redstone, who together with her father Sumner Redstone controls both Viacom and CBS, pushes to have the two media giants merged. Similar efforts to have the two companies combined failed in 2016. For some time, Shari Redstone has been collecting names of prospective candidates for the Board of Directors of CBS, as the company plans to replace several directors at the annual meeting of shareholders scheduled for May. This is according to a report that was run by Wall Street Journal early this year. Recently in March, CBS verbally made an offer for acquisition of Viacom went ahead to give it a value that it is below its own market value of $12.5 billion. However, on Wednesday, sources indicated that Viacom was preparing a proposal to counter CBS’s first share exchange offer, which it regarded as very little. In its SEC filings on Friday, CBS noted that Mr. Parsons has a lot of experience and will add a lot of expertise. The company noted that he has worked in senior management roles in leading media and financial companies. His roles have included several legal counsel and executive officer positions. 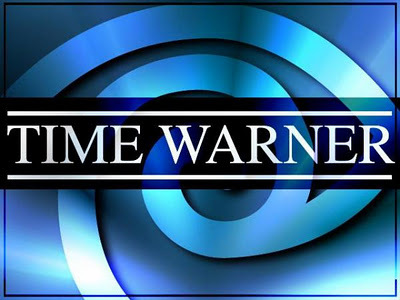 In other news, the US Justice Department has contested in court the proposed takeover of Time Warner by AT&T in a case that has unearthed several salacious details. Last week, a lawyer representing the department presented evidence to support what everyone has been suspecting: that AT&T is buying Time Warner in a bid to prop up its crumbling cable empire.